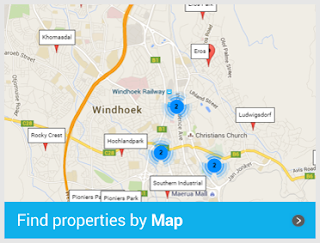 Our MyProperty Namibia property portal now features an interactive suburb map search. Visitors can zoom into a Google map to explore suburbs and view properties for sale and to rent in the various suburbs. Quite useful for international buyers to get a better idea of the areas where for sale and rental properties are available. A number of further upgrades are planned for the year. MyProperty Namibia enjoyed a record month in January 2016 recording its best month ever with double the number of visits and pageviews compared to the same month in 2015. Visitors now also spend on average, almost 10 minutes on the real estate website. MyProperty Namibia is powered by Entegral's Flex cloud real estate platform.